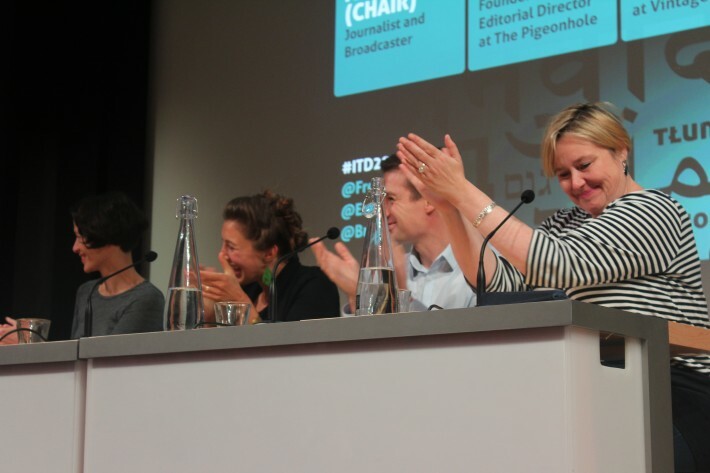 The Rise of the Reader Panel: L to R Gaby Wood, literary director of the Booker Prize Foundation; Anna Jean Hughes, founder and editorial director at The Pigeonhole; Will Rycroft, community manager at Vintage; Alex Clark, journalist and broadcaster (moderator). Discussions as the International Translation Day conference focused on how to sell more literary translations, with an emphasis on sales and marketing. International Translation Day, the annual conference held at the British Library in London last Friday, opened with a panel discussion on the rise of the reader and closed with actors reading from Sasha Dugdale’s translations of playwright Pavel Pryazhko’s work and a discussion of translating for the stage. The middle of the day featured seminars including translator training and employability, selling translated literature, self-publishing translations, how to give a translation workshop and more. During the lunch break, Creative Europe Desk UK, the European Commission’s seven year funding program for the cultural and creative sectors delivered through a new partnership between the BFI and the British Council in the UK, was on-hand to discuss funding and the application process; the Translators Association was also available to discuss contracts during an informal informational session. 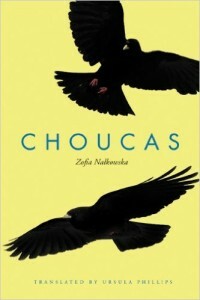 Following the afternoon readings, Ursula Phillips was presented with the 2015 Found in Translation Award for her translation of Choucas by the Polish author Zofia Nalkowska. Of the 500 top-selling titles at Foyles so far this year, around 60 titles are translated books. Hughes stated The Pigeonhole’s intention to create a large front and back list with many translated titles, and explained how the digital publisher is trying to minimize the gap between the launch of a book in its original language and the appearance of the translation in order to “hold on to the excitement” around these books. With their platform’s potential for author engagement, bonus materials that complement the book, and live interaction between readers and the author, they’re aiming for global and live book launches, online and off. Making use of their app’s ability to create private book clubs, Hughes said they have been exploring the notion of crowdsourcing translations. “With this technology, a publisher or agent can set up focus groups for a text to see which direction a translation could go. Some people love it, some think it’s disgusting,” she said with a laugh. The translation from the Japanese has been Foyles’ 2nd bestselling title in 2015.
selling books. And if translators want to do more events, Robinson and Ruppin recommended they pitch creative ideas that are fully formed. 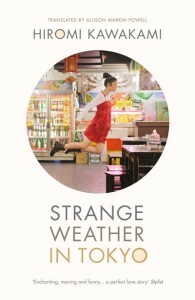 Ruppin suggested that part of the success of Hiromo Kwakami’s Strange Weather in Tokyo (the second bestselling title at Foyles so far this year) was the fact that one bookseller, essentially, will not let a customer leave the store until they purchase that book. O’Reilly called the covers of books in translation “lacking.” “The jacket has to compete with the best jackets out there. Yes, it’s another cost, but if you’re asking your customer to pay more, you have to give them something in return,” she said. The narrow margins that bookstores operate on were also a talking point. Ruppin stated: “If publishers want bookshops to push their book, they need to give them the discounts and perks they’d give to Amazon.” O’Reilly addressed need to reassess payment schedules, asking publishers not to underestimate what a small margin bookshops operate on. Multimedia translation was the topic of the second seminar we attended, led by Samantha Schnee. Dr Miguel Bernal-Merino, lecturer in Audiovisual Transaltion at the University of Roehampton gave an introduction to the art of the translating audio-visual material, and Dr Jorge Diaz-Cintas, Director of the Center for Translation Studies at University College London, explained games localization. In the simplest terms: translating video games. From user manuals to banners hanging in spaces inside the world of the game, translating a video game is a formidable task that is as much about understanding which words and concepts might be taboo from country to country as it is about being able to get a sense of game about which you might not have much contextual information or many visual references. The translator must be both technical and literary. And, Diaz-Cintas said, translators are often working on a tight deadline with little information about the world of the game. The takeaway for publishers branching into multimedia storytelling seems to be make sure to provide your translators with enough context so they understand the story world and to employ your best practices in managing the work flow.